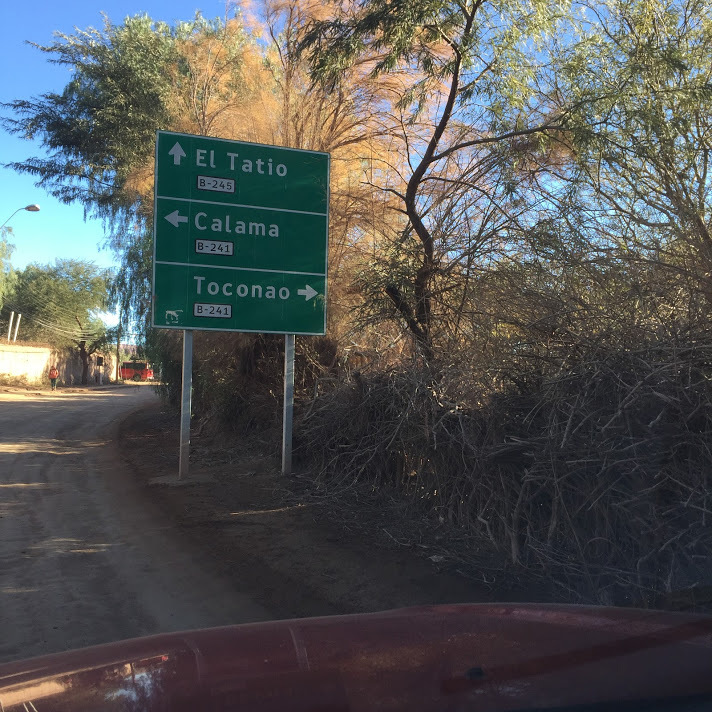 The roads to El Tatio remained closed through yesterday and today, which unfortunately meant that we could not see the geysers or silica sinters. The heavy rains and snow were part of the worst storm in the region in over 60 years. I suppose we should be glad we witnessed such a rare event. 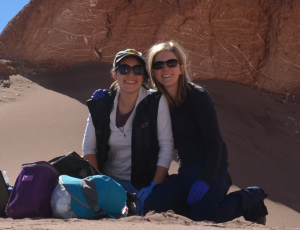 Luckily for us, the Atacama Desert is a beautiful place that’s used as an analog for Mars and to test landers, rovers and other Mars-bound instruments. Between the extreme aridity (just an average of 15 mm of rain per year), red rocks, and spectacular sand dunes, it is not difficult to imagine that you’re standing on a martian surface! So, we decided to try out our DNA extraction, sequencing and analysis in this remote setting. We picked two sites, one yesterday and one today, to test remote field sequencing with offline bioinformatics. Our first site was in cactus-lined hills between Machuca and Guatín. The presence of vegetation and a small stream below suggested that there might be enough biomass in this area for our very first test. 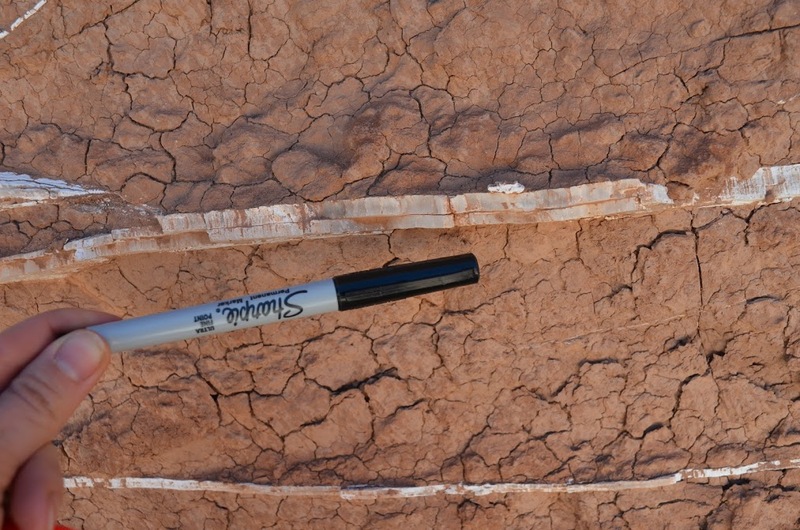 Our second site had no vegetation or water, beautiful large sand dunes, and veins of gypsum throughout. The veins looked just like those on images taken by the Curiosity rover! For the in situ extractions, we collected ~200 mg sandy material into a 2ml tube containing DNA/RNA shield and bashing beads, bead-beat the sand using the TerraLyzer, and then recovered the DNA in the lysate using a spin column. Next, we made a Nanopore rapid sequencing library (RAD002), loaded it onto the MinION and sequenced without live basecalling or “pinging” ONT. After 60 (yesterday) or 90 (today) minutes of sequencing, we paused sequencing, basecalled the reads, and classified the resulting sequences using Centrifuge software with archaeal and bacterial reference genomes. We then restarted sequencing for later analyses. We’ll bring some the DNA back with us to look at the fragment length distribution and DNA purity (A260/280 ratio). To check for contamination, we extracted negative controls, and will sequence them once we return. 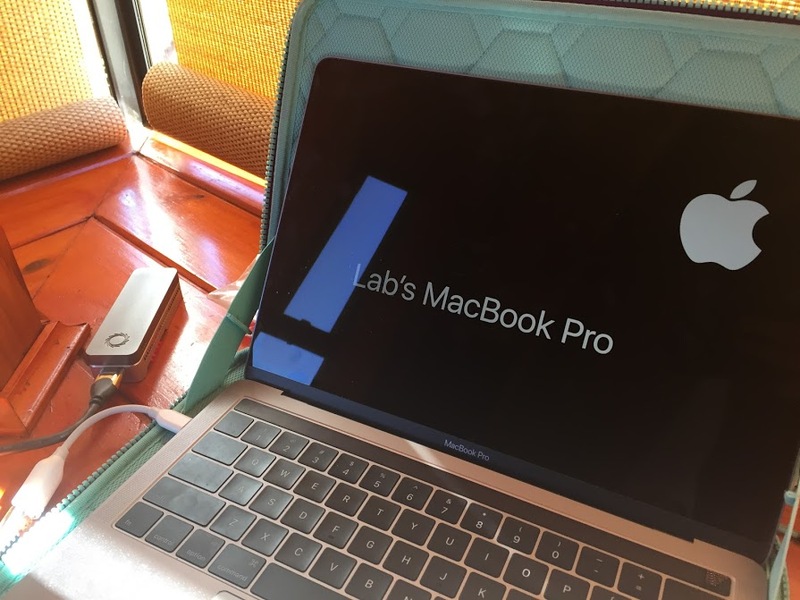 In addition to being completely offline, we used portable power – a powerbank to run the miniPCR for incubations at 30°C, 75°C and 22°C (“RT”) and the laptop’s battery for laptop and MinION. A brief look at the taxonomic assignments indicated that we sequenced different communities at the two sites. There were >100 distinct genera at the first site and ~200 at the second. While some assignments overlapped, the distribution and identities were different from each other (and Thursday’s community standard). Looking forward to comparing these field-based assignments with longer lab runs and more in-depth analyses! This entry was posted in Atacama 2017 on June 10, 2017 by Elena Zaikova. Today, the roads to El Tatio were unfortunately still closed, but we were able to visit Laguna Tebenquiche. After a dramatic interlude in which muddy roads nearly bested our spirits, we finally made it to the laguna and it was beautiful! We weren’t able to definitively visually identify any stromatolite domes but we did see some interesting biofilms and mats. We also identified several regions of interest for further study, including an evaporate playa completely encrusted with halite, which contained several small pools of water supporting what could be distinct microbial mat communities and populations of what we believe to be Ephydra fly larvae. Surprisingly, although the pools were geographically close to one another, the mats within varied in pigmentation and the pools also varied slightly in pH, though stayed within the 6-7 range. Along the western edge of Tebenquiche proper we also noticed hardy salt-resistant plants growing, as well as the occasional bird which seemed to be consuming biofilms that were plentiful at the edge of the lake. This is exciting because these microbial biofilms would appear to be supporting a larger ecological community, or at least could be incorporated into one. A few meters from the lakeshore, we also noticed thin mud crusts with gas bubble formations that suggest microbial mediation of gas production. All in all, it was a successful reconnaissance of Tebenquiche which points to areas of further study in microbiology, especially pertaining to the lake’s biofilms and their interaction with halite crusts and salty conditions—although Tebenquiche is not a perfect Mars analog due to the concentrated presence of halite rather than silica. 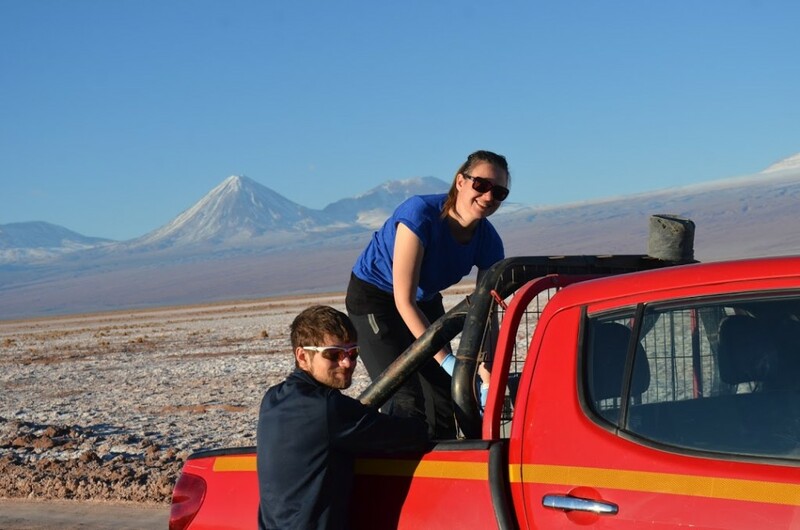 This entry was posted in Atacama 2017 on June 8, 2017 by Maggie Weng. Weather conspired against us today! 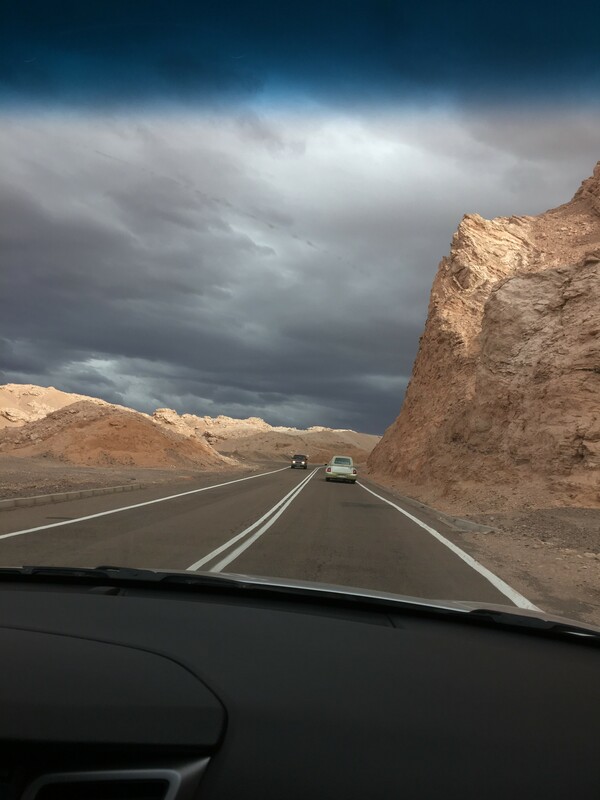 The roads to Salar de Atacama and El Tatio were both closed due to heavy and unusual weather, rainfall that turned into snow at one point during the morning. We made use of our time by performing extractions on a test sample using Purelyse, Omnilyse, Terralyzer and a Quick DNA kit (tissue version) to determine which would be most successful in the field. We tested the success of our extractions using the Qubit, and we determined that our most successful method was the Terralyzer. Guess it will be joining us in the field! We also simulated a field extraction and sequencing using a Zymo community standard and the RAD002 sequencing library on the MinION. This entry was posted in Atacama 2017 on June 7, 2017 by Maggie Weng. Well here we are in Chile! 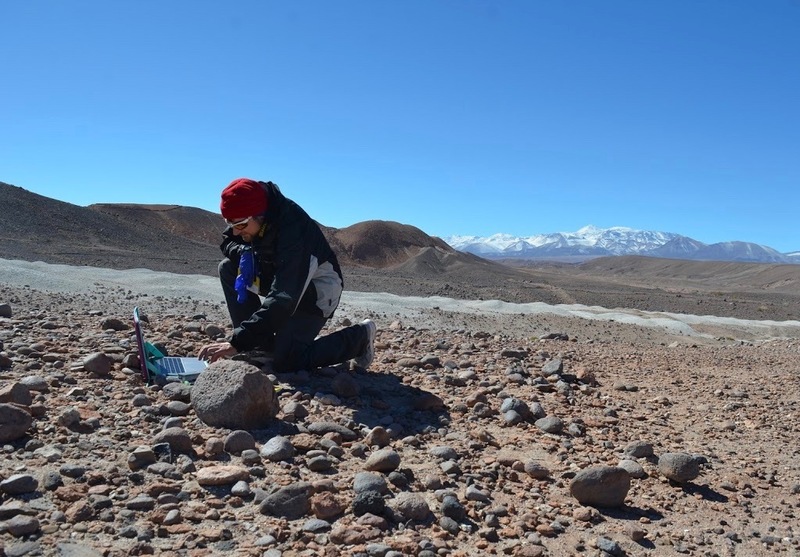 We’re planning to look at silica sinters at the Mars analog environment of El Tatio, whose formations resemble silica formations in the Columbia Hills. Columbia Hills was previously explored by the Spirit rover and is now a candidate for the landing site of the Mars 2020 rover, whose mission goals include the collection of samples for transport back to Earth. 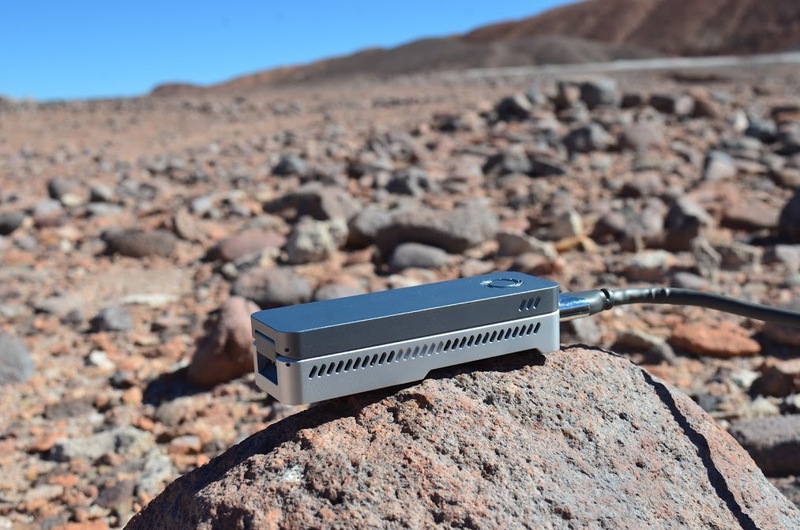 Hopefully these samples will contain biomarkers, or ancient organic molecules, with which scientists will be able to study the formation and function of any life on Mars. Studying biomarkers and the DNA of ancient and current microbial communities at El Tatio will help us understand how life may function in these environments, and what to look for should a rover have the opportunity to collect samples from Columbia Hills or a similar location. We also hope to test the MinION sequencer in the field, on flow cells that are now 8 months old and which Mark has irradiated to the level that the sequencer would receive en route to Mars. It did manage to sequence successfully in the lab, which is a good sign! Now it’s time to put it through its paces. 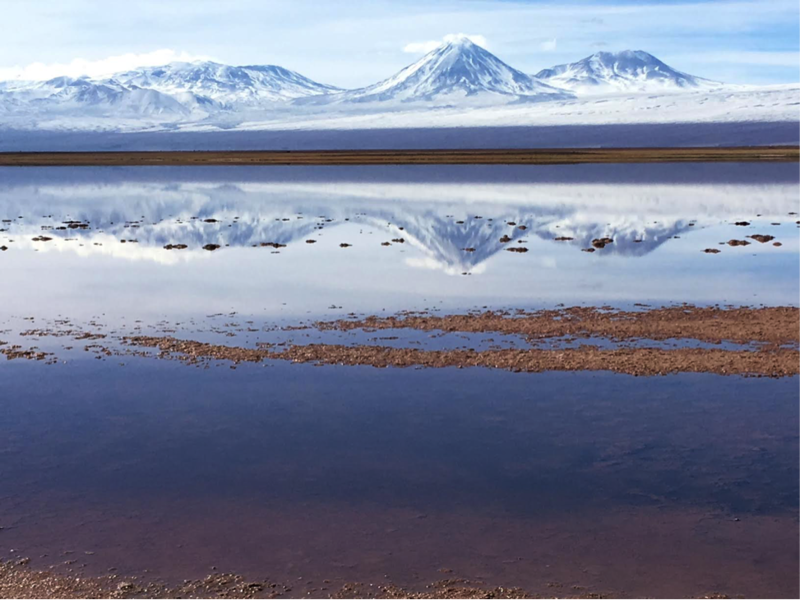 Lastly, we hope to visit the Salar de Atacama, which contain microbialites and microbial mats with diverse and well-preserved communities. These microbialites trap minerals and precipitate sediment, leaving biomarkers in the rock as clues to their existence. 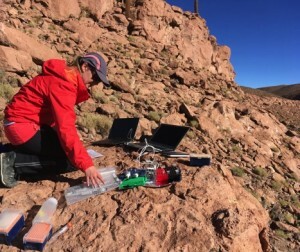 Studying these microbialite communities will help to gain a greater understanding of how microbes and the geologic environment interact and influence each other, and what clues this may leave in a martian environment. 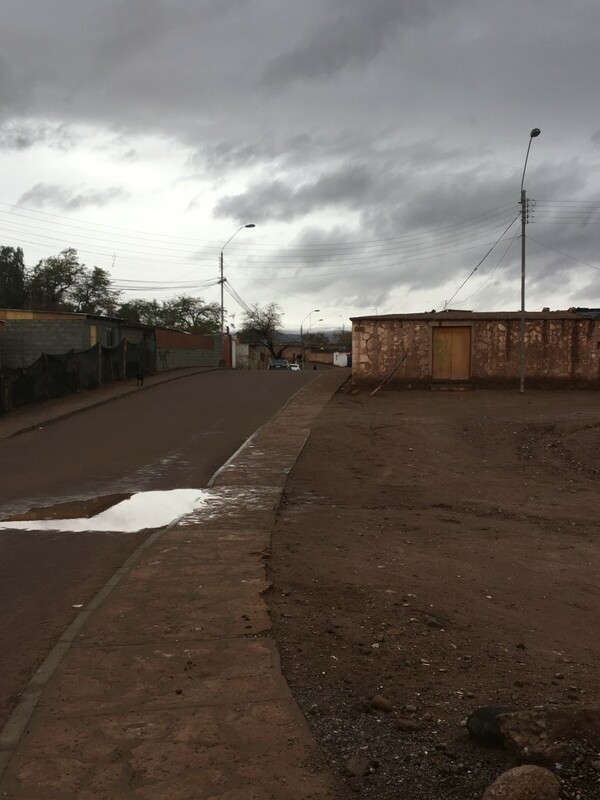 This entry was posted in Atacama 2017 on June 6, 2017 by Maggie Weng.